Sarah McAffry is an award winning photographer who has been voted Knoxville’s best by Cityview Magazine, published in national magazines, and published in several online publications including Wedding Chicks, Weddings Unveiled, Ruffled Blog, Baby Lifestyles and more. Sarah has a WordPress based website for her business which she has done a great job of designing and maintaining over the years. As new features, plugins, and thousands of photographs were added to the site, Sarah had begun to notice that the site was running slow. A slow site is a very big problem, especially for a small business owner in a very competitive space. Attention spans are shorter than ever, and when a website doesn’t load quickly, most people will move on to a website that will. Google’s search engine rankings also penalize sites that load slowly, moving them lower in the search rankings behind sites that have been proven to load quickly. 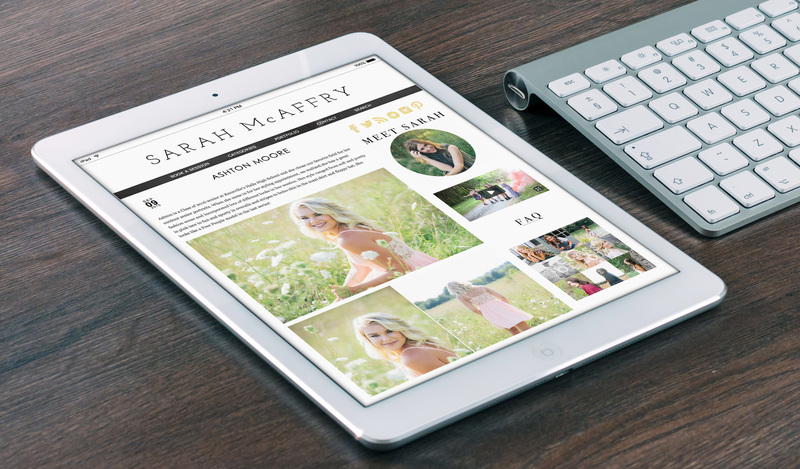 Sarah contacted New Frame Creative to see if we could speed things up and move her website into the fast lane. The first step was to run some diagnostics to see just how slow things really were. Yikes! The important number here is the over 17 second load time. According to our diagnostics, this was slower than 92% of all websites on the internet. Page load time was reduced all the way down to 1.55 seconds and the site is now performing faster than 80% of all websites on the internet. If your website is running a little slow, we can help! We are WordPress speed experts! Give us a call at 865-202-0408 or contact us today.